Mudhead 208R™ – Your Ticket to the Trails! Imagine this: You are cruising through some off-road trails in a remote area with the wind rustling the folds of your clothes and whistling in the holes of your helmet. The dust and dirt of the earth gets kicked up behind you as you trounce obstacles, weaving between the towering trees around you, creating your own path. Your tires leave fresh tracks in the ground, marking the trail you traipsed through, and every bump in the road becomes part of the memory; every mound of dirt, so easily conquered, becomes part of the reminiscence. This experience is possible with the Mudhead 208R from Hammerhead Offroad. Most often do you see people pay to have a good time, one time. What Hammerhead Offroad offers with their offroading and recreational go-karts is an investment in countless, priceless memories with friends and family, time and time again. 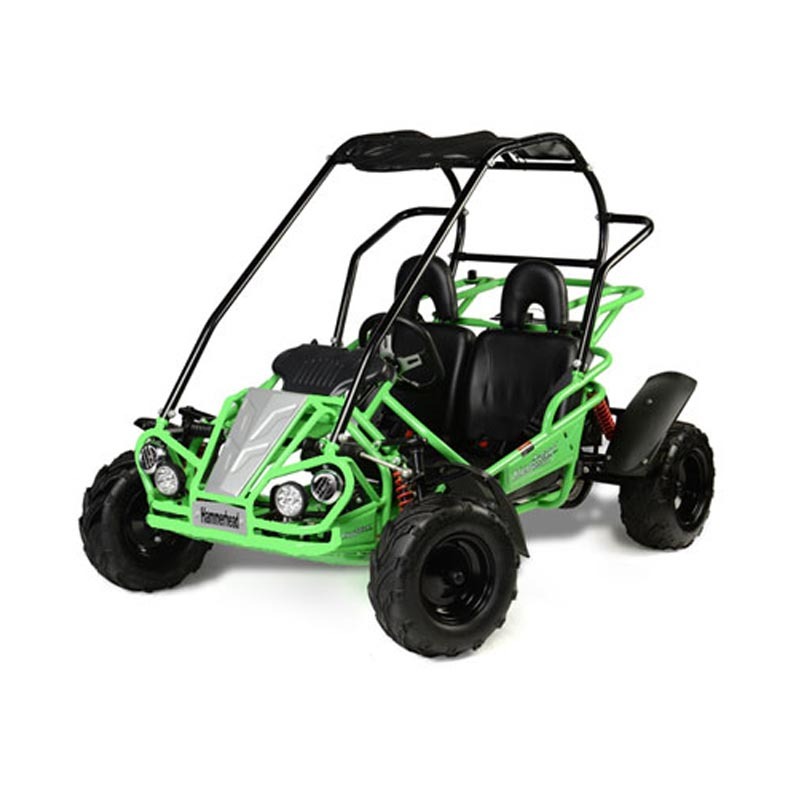 There are many features of the Mudhead 208R that ensure each owner can rely on the durability and safety of their go-kart. This model is equipped with 2 seats for double the amount of fun, an adjustable driver’s seat to provide comfort for the driver, is suited for all-weather adventures, and has dual LED headlights on the front for even the boldest night time expeditions! If you’re ready to brave nature, build your own path, and make everlasting memories with family and friends in an exhilarating way, then you’re ready to own a Mudhead 208R. We would love to help you embark on your journey to conquering what the great outdoors have to offer as your playground, contact us today to rev up and get started! GTS Platinum™ – High Performance on the Toughest Trails!